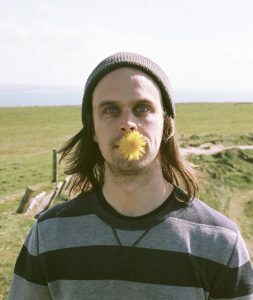 Peter Broderick is an American born multi-instrumentalist and singer and is this years dotMD musical performer. In his teenage years he became entwined in the Portland (Oregon) indie folk scene, recording for the likes of M. Ward and Laura Gibson, among others. 2007 saw him moving across the ocean to Denmark, where he began a long collaboration with the band Efterklang, touring the world with them for the next five years. He has recorded several albums of solo material, ranging from sparse classical compositions (Float) to homemade folk music (Home), constantly experimenting with different musical genres, and also being commissioned to write music for several films and contemporary dance works. He then lived in Berlin for several years where he met and collaborated with Nils Frahm, Dustin O’Halloran and several others. He now lives in rural Ireland, and continues to travel the world performing solo concerts and collaborating with a vast array of different musicians and artists.